She Writes Press, 9781631521478, 280pp. The Magic of Memoir is a memoirist's companion for when the going gets tough. Editors Linda Joy Myers and Brooke Warner have taught and coached hundreds of memoirists to the completion of their memoirs, and they know that the journey is fraught with belittling messages from both the inner critic and naysayers, voices that make it hard to stay on course with the writing and completion of a book. 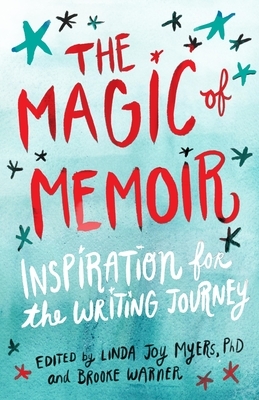 In The Magic of Memoir, 38 writers share their hard-won wisdom, stories, and writing tips. Included are Myers's and Warner's interviews with best-selling and widely renown memoirists Mary Karr, Elizabeth Gilbert, Dr. Azar Nafisi, Dani Shapiro, Margo Jefferson, Raquel Cepeda, Jessica Valenti, Daisy Hern ndez, Mark Matousek, and Sue William Silverman. This collection has something for anyone who's on the journey or about to embark on it. If you're looking for inspiration, The Magic of Memoir will be a valuable companion.